Real Riders: Harley-Davidson XG750R Will be Coming To A Dealership? So Harley-Davidson is going to great lengths to ensure we all know its newly unveiled Street 750-based XG750R is a race-only prototype, but we’re not convinced. Because if the firm created a road-going equivalent it would have an instant rival to one of the world’s top-10 best-selling bikes: Ducati’s Scrambler. 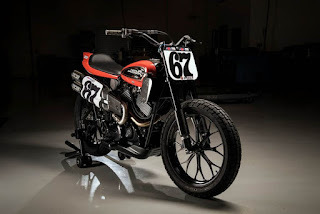 Given the fact that nearly half a century on from its launch, the old Harley-Davidson XR750 is still the definitive flat tracker, and that the V-twin flat-track look has long been a favourite among custom bike builders, it doesn’t take a university-educated beancounter to see there’s enormous potential for both profit and growth. The sticking point with Harley’s previous attempts at road-going street trackers, most recently the XR1200 of 2009-2012, has been that the firm’s large capacity, but underpowered air-cooled engines. However, the new Street 750’s liquid-cooled Revolution X engine used in the Harley-Davidson XG750R racer cuts both the bike’s size and costs down to a level where owners are seeking downright entertainment, not outright performance. Just look at the Scrambler; it’s not fast, but it’s unthreatening and joyful, and with the right price and the right style to ensure it’s a massive success. It’s already Ducati’s best-selling bike worldwide, and the addition of extra versions – notably including the Flat Track Pro model this year – will only add to that appeal. Just as Ducati cobbled together the Scrambler around an engine that was already built, but positioned a long way from the rest of its model range, Harley-Davidson’s XG750R represents a significant departure from anything else H-D offers — and it has cost the firm diddly squat. 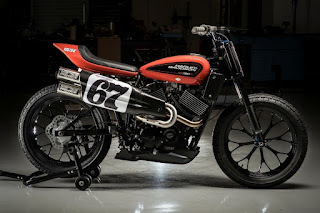 The Harley-Davidson XG750R prototype uses a Vance & Hines-tuned Street 750 engine mounted in a tubular steel monoshock flat-track frame that’s virtually identical to the ones currently used on XR750 racebikes. 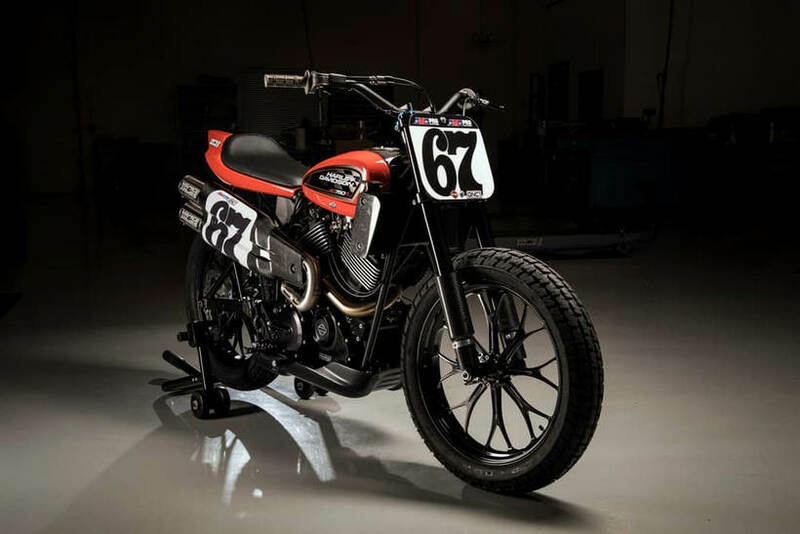 It’s presently being campaigned in AMA Pro flat track racing by 18-year-old factory rider Davis Fisher, who achieved an impressive eighth place overall finish in the final of its first event, just days after Harley announced the bike. Fisher’s teammate Brad Baker took third place on his old-school XR750. Harley’s official line is that the XR750 is “strictly for race competition and will not be offered for sale at this time”. The emphasis, we suspect, is on the last three words. It just doesn’t wash.